Originally Submitted to FurAffinity.net on Mar 1st, 2018 02:46 AM. Before it was transferred to Inkbunny it had 154 views and 20 favorites. 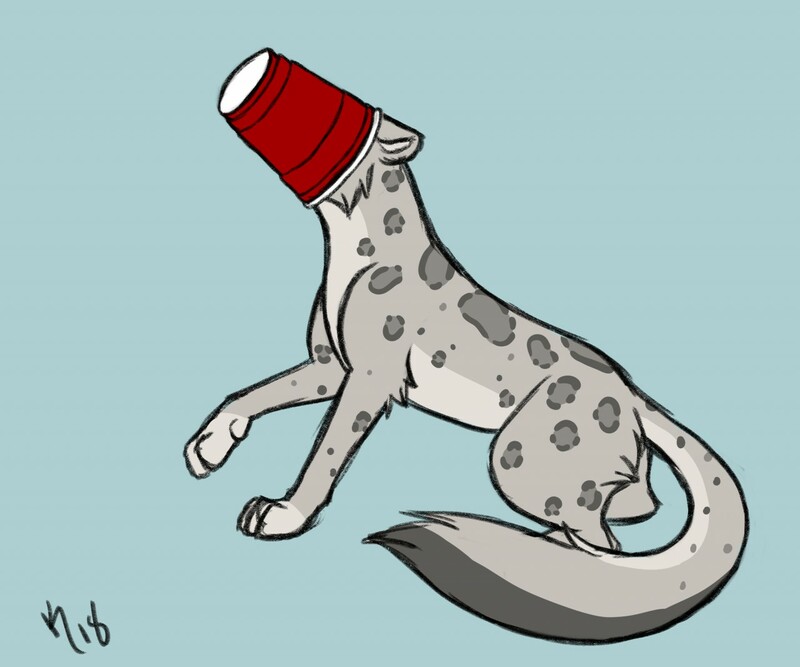 Got an idea to draw a cat with their head stuck in a cup for a warm up. Well big cats count too, right?